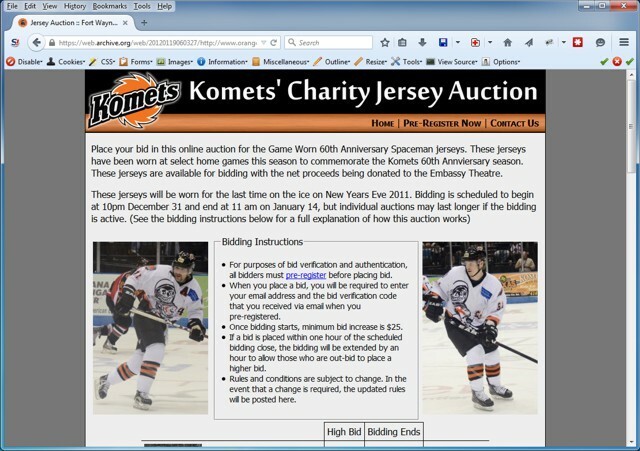 One of our more fun projects was creating an auction site that allowed fans to bid on and own a piece of hockey history. Fans were able to create accounts, bid, and monitor the auctions of the jerseys of their favorite players. Unlike ebay where someone could bid at the last minute and try to “snipe” the auction, if a bid was placed in the last few minutes of an auction the bidding time would be automatically extended and the previously high bidder would be notified via email, giving them the ability to counter and raise their bid. The system generated money money for charity than the previous method of silent auctions during a game.